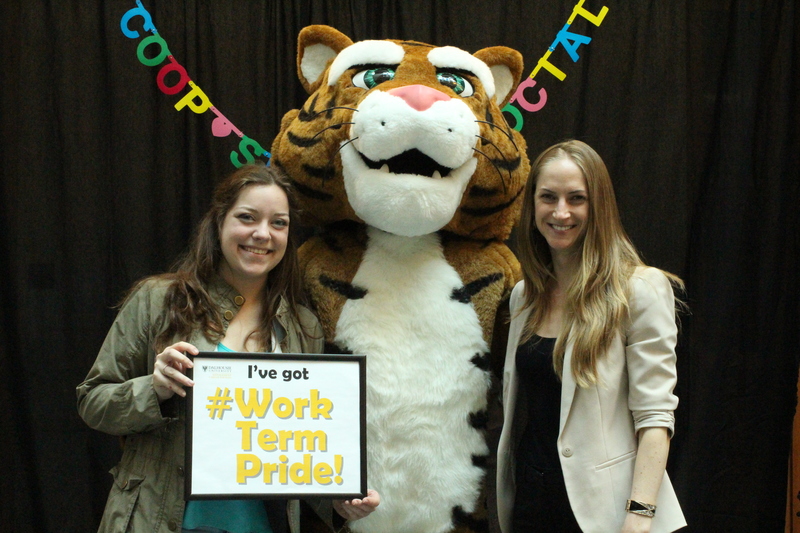 If you want to build brand awareness on campus and gain early access to our pool of fall 2015 work term candidates, the Co-op Summer Social is the sponsorship opportunity for you. 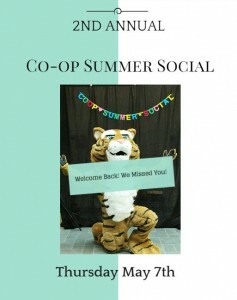 Management Career Services is proud to be hosting our second annual Co-op Summer Social on Thursday, May 7th, in the Atrium of the Kenneth C. Rowe Management Building. 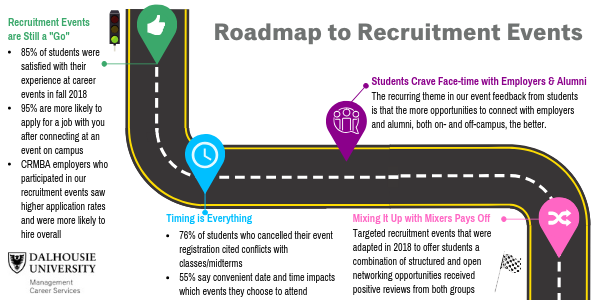 It is the perfect opportunity for you to mingle with approximately 250 Bachelor of Commerce students returning to campus from their first-ever co-op work term as they celebrate this important milestone in their careers. 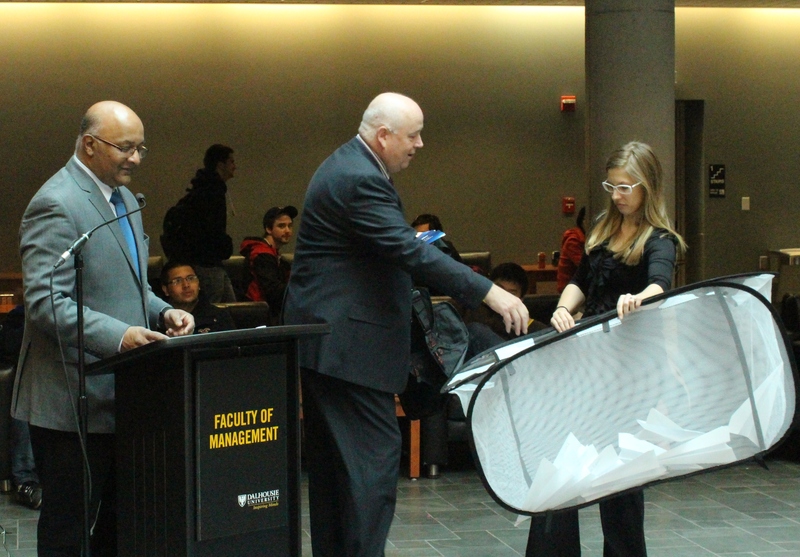 Rowe School of Business faculty and staff will also be invited to attend. We would like to give our valued employers the chance to be a sponsor for this one-of-a-kind event. To take advantage of this exclusive opportunity, MCS is seeking a contribution of $500 plus a door prize of your choice to be given away to a lucky student at the event. Your contribution would be recognized before, during, and after the event in various ways including: booth space, your brand on promotional marketing, event coverage, a speaking opportunity and more. Please contact mcscoop1@dal.ca or call 902-494-1515 for more information. 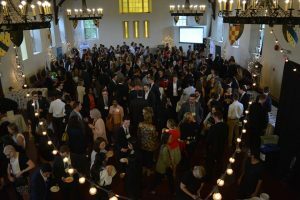 Do not miss this unique opportunity to network with these eager and talented young professionals. 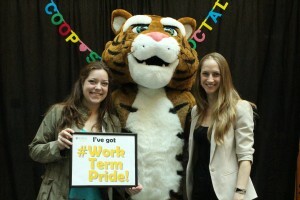 Colleen Power from NSBI with previous co-op student Myriam Lemire. 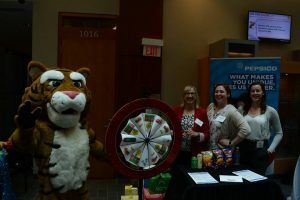 NSBI was one of the sponsors for the 2014 Co-op Summer Social. Bruce Smith from Scotiabank is picking the winner of the prize donated by Scotiabank. Scotiabank was the other sponsor for the 2014 Co-op Summer Social.